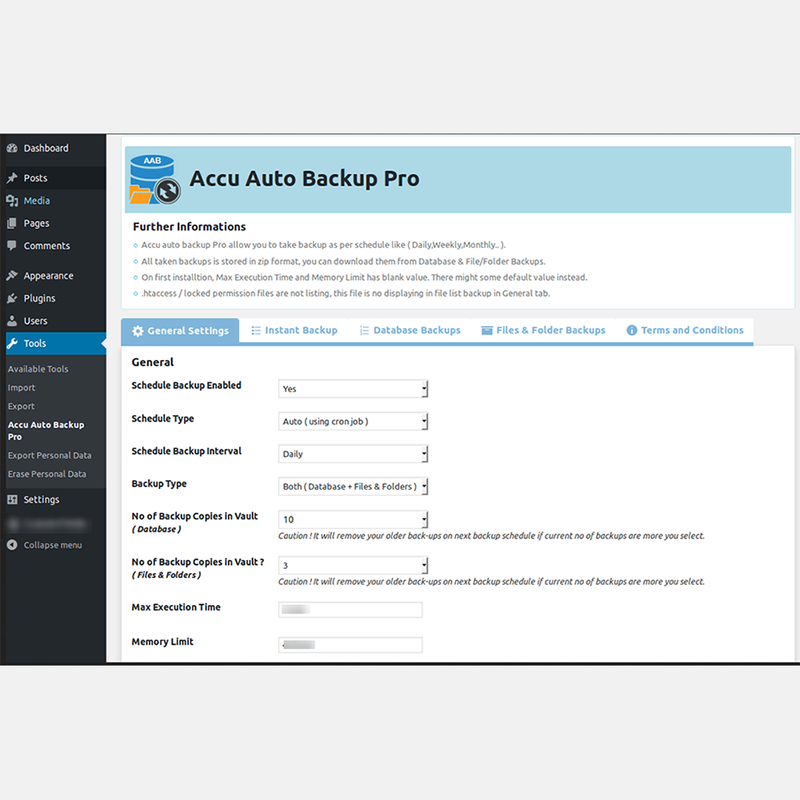 Accu Auto Backup Pro is allowed to take backup for database , files and folders. Take backup regularly is very important for future security. If data loss happens then you can restore it. 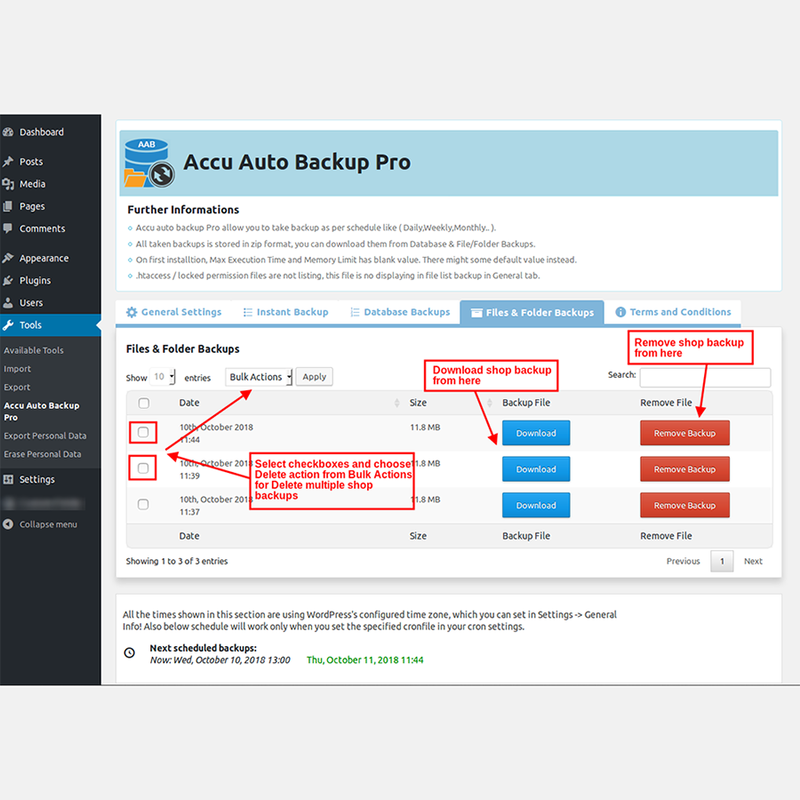 Accu Auto Backup Pro plugin process is simple just have to set schedule interval and how many no of copies want to store. 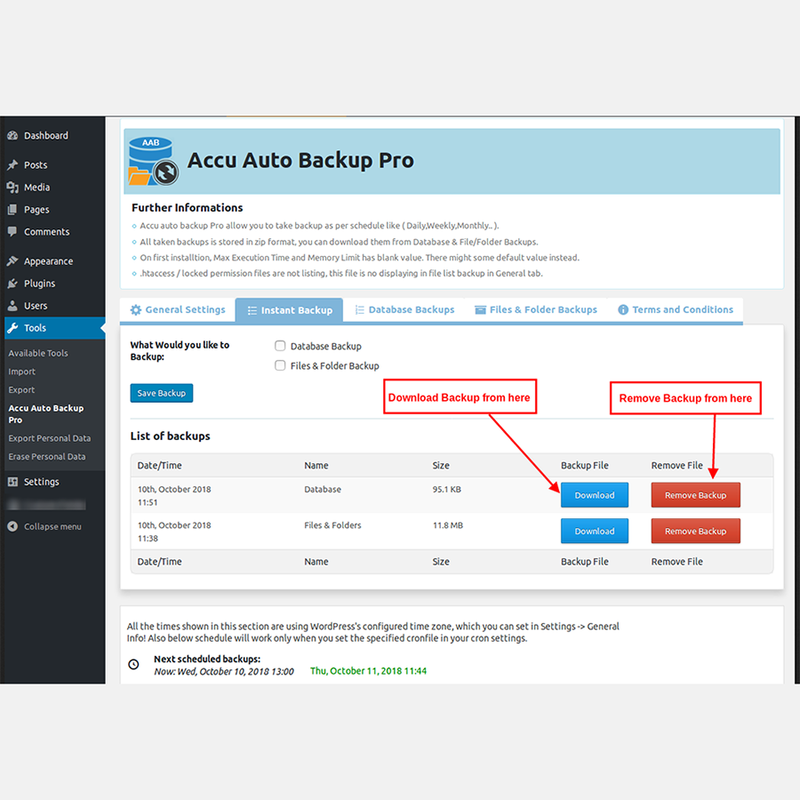 In Accu Auto Backup Pro there is two methods available for taking backups, Linux based hosting having ‘shell_exec’ permission enabled and windows based hosting you can have only manual option available. 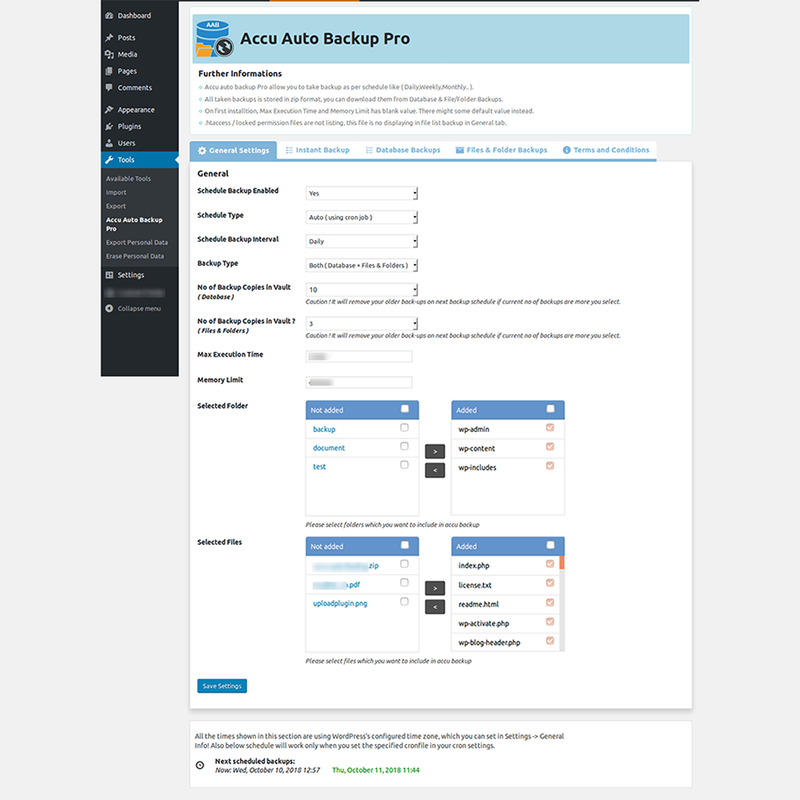 All taken backup will store in zip format. 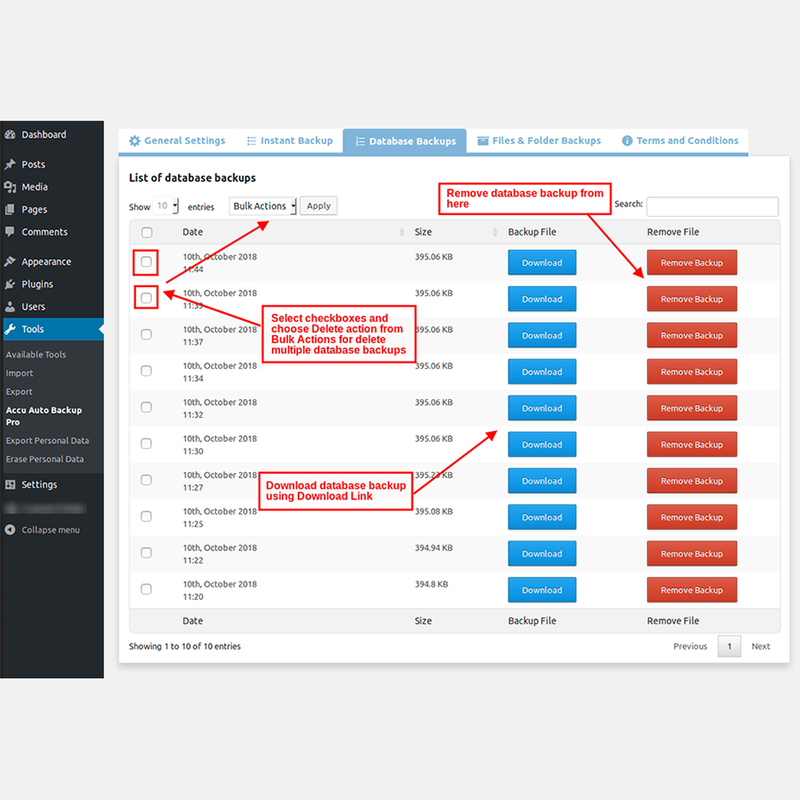 Backup your shop database, files and folders. Set specific interval (ex. daily, weekly, and monthly) to start the backup. Backup creating in ZIP format so easily restored it. Determine number of backup in settings. Delete single or multiple old backups. Backup can download from admin. 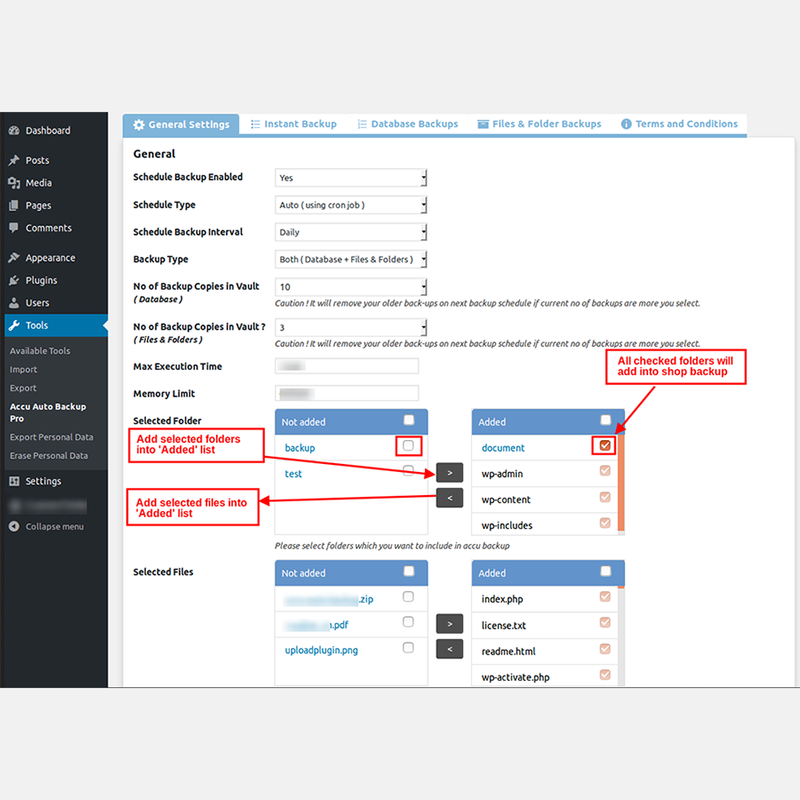 Module automatically manages copies with use of cron. Next schedule backup time will be show in cron details, as per schedule interval. 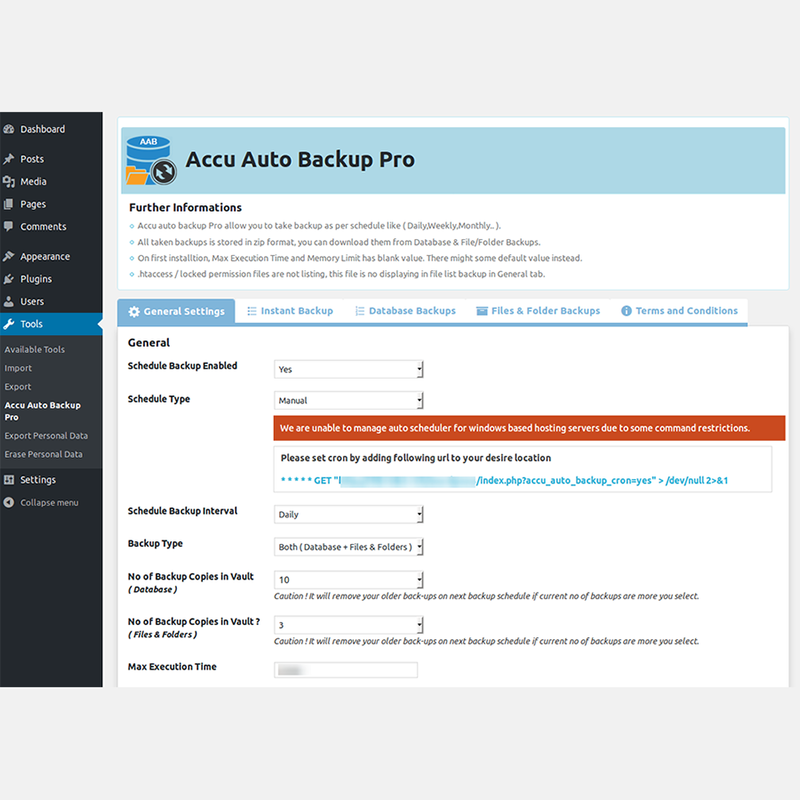 Old backups can be removed if the total number of backups exceeds the no of backup copies.